As I sit in my apartment creating this post, it seems that in a blink of an eye week five is complete. Each day was filled to the brim with events, lesson plans, and edTPA work. These things, paired with the impending talk of strike have made me focus on the truth presented throughout my college career. Teaching, or student teaching, requires great flexibility. This week as I was student teaching at Hayt Elementary School there was a few areas that required my flexibility. 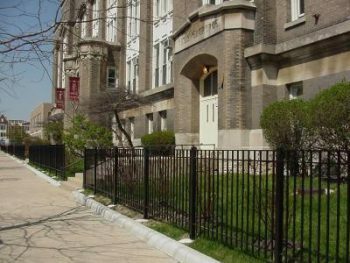 The first, perhaps largest area, was the talk of a strike within the Chicago Public Schools Teacher Union. The talk of striking began due to struggle to find common ground between the City of Chicago and the Teachers Union. The Union contract has not been revised for years, leading to many dissatisfied teachers. The teachers union, ready to make a statement, set a strike date for October 11, 2016. Due to this potential strike, another area of my student teaching was affected, the completion of my EdTPA. EdTPA, a new concept to me, is a Teacher Performance Assessment. The assessment is a student centered, subject specific, and multiple measure assessment of teaching. In order to become certified in the state of Illinois it is required. All this being stated, this assessment of teacher candidates has many components. The requirement this week was the filming of up 20 minutes of literacy instruction. These clips were supposed to highlight student’s engagement in topics, as well as teaching tactics present in a certain focus area. These videos were originally arranged to be completed by Friday October, 14. However with the strike set for next week, filming needed to be moved up. The filming provided some stress throughout the week and again reminded me of the importance of being flexible in teaching. Even though student teaching is picking up, I am starting to realize the need for personal time. This week I have done this in small areas. Whether it is exploring new places to create lessons, attending the weekly art events, or adventuring around the city, I believe these activities are imperative to experiencing the full value of the city. This week, outside of the classroom, I was lucky enough have time with those I love. As student teaching continues and the load gets heavier, there is less time to socialize. This weekend however, I was blessed to spend time with my parents and boyfriend. I spent a much needed weekend with my mom, dad and Jon (my boyfriend). We explored the city and cherished the times we had together. After a month without seeing them, this time was a much needed breath of fresh air. 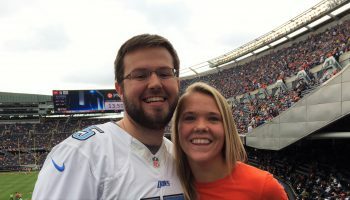 In addition to exploring the city together, on Sunday Jon and I made our way to Soldier Field for a Bears Football Game. Being from Illinois, and a big fan of football, obviously I was excited for this new opportunity. To make this game even more interesting the Bears were playing the Lions. The Lions are Detroit, Michigan’s Football team, a team Jon is an avid fan of. The was the first Bears win in the regular season, which made one of us very excited! Being in Soldier Field and seeing my 3rd Chicago sports team play in a little over a month, was such an amazing opportunity. I only have one team left to see, the Bulls.